How well do you know her? Those of you already acquainted with the broad bean know she makes a delicious dip, especially when made with a punchy, creamy feta and mint for spring zing. The Italian classic, pasta e fave, hits the heart spot, while broad beans sauteed in a little onion and garlic with fresh garden peas until soft are simply sublime. Of course, what grows together goes together, so finish with a hit of mint for a last minute lift. These three humble numbers are currently having spring dance parties in my garden at night. What many don't know is that fresh broad beans, ideally soft and tender so best home grown or bought from a farmers' market, are really, really good with really good bread. Say that a few times over. Actually, don't. Save it for chewing on a chewy sour dough baguette and broad beans. It's a very surprising flavour and texture combination that speaks volumes. 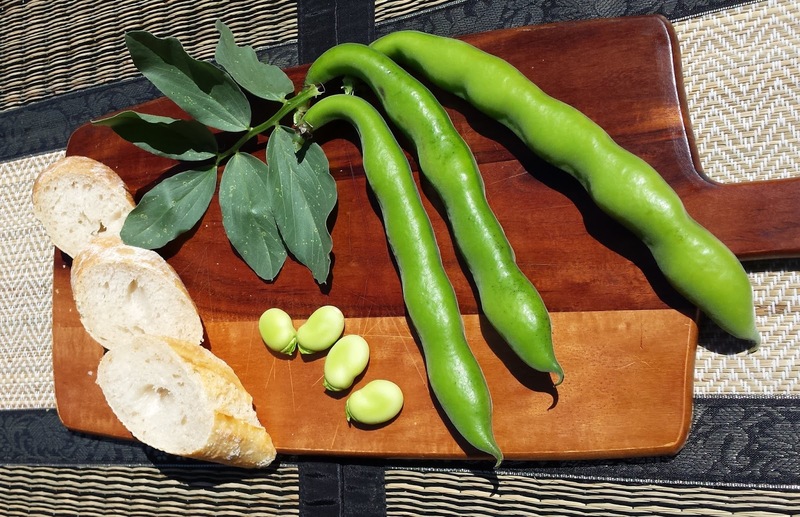 Do as many Italians are doing right now as we speak given the peaking broad bean season - and try it.